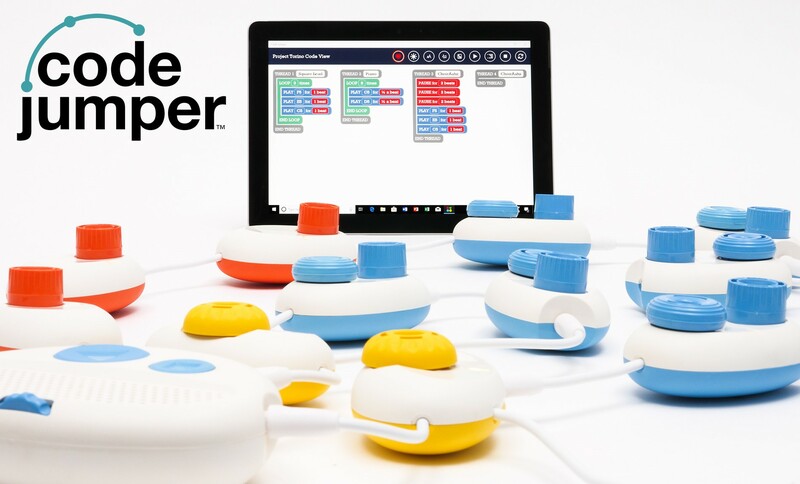 Code Jumper™ is the newest innovation to assist children, regardless of their level of vision, in learning computer coding and programming skills through a unique, physical system. Developed by Microsoft® and distributed by APH, this educational toy bridges the skills gap and opens up the world of coding to every student. Children not only learn basic programming concepts, such as sequence, iteration, selection, and variables, but will also be encouraged to think computationally, such as solving the same challenge in multiple ways. Most important, any teacher can facilitate Code Jumper lessons without prior computer science experience, and Code Jumper is inclusive of all children across the vison spectrum. Be one of the first to receive Code Jumper once it hits the market. Place your name on our waiting list and receive updates.